The Attention, Defense, and Respect You Deserve! Welcome to the Minnesota Criminal Law and DWI Blog. It is meant as a resource to provide general information about how Minnesota’s criminal justice system works and relevant updates. If you have any questions or suggestions for topics you’d like to see, please contact me. What do my DWI breath test results mean? Is DUI a Felony or Misdemeanor in Minnesota? Can you get a DUI without driving? © 2019 Law Office of Eric A. Rice, LLC – All Rights Reserved. Attorney advertising. Prior results do not guarantee a similar outcome. No attorney-client relationship is formed over the internet or through this website. Always consult an attorney before taking any action regarding the information on this website. 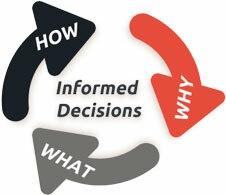 Information presented is for general information only; information may be outdated, superseded, or not applicable to every factual situation.